A former boxer (John Payne), still brooding over the bout that cost him his championship, now drives a taxi, and has modest dreams of owning his own gasoline station. His wife (Peggie Castle) is, to say the least, unsupportive, and belittles both his current status and future hopes. 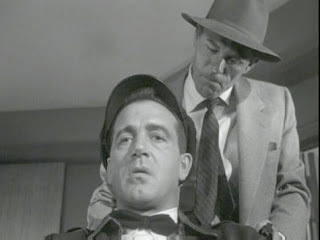 She is also having an affair with a criminal (Brad Dexter). When she is found murdered, the erstwhile pugilist’s explosive temper and new motive put him in a tight corner. 99 River Street is a fairly standard, low-budget film noir, but not a bad example for that. The script is good, while not very good, though it has a few decent lines in it. Mostly, it’s just straightforward. The story is simple, and the plot’s resolution is even simpler. 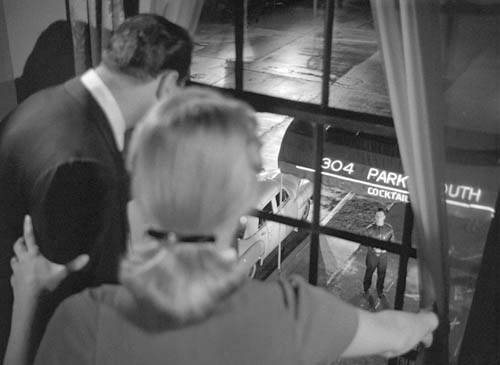 As with many films noir, the reliance is on direction, setting and acting. The direction, like the writing, is uncomplicated. For the best, most intense moments, it lets the faces of the actors get the point across. 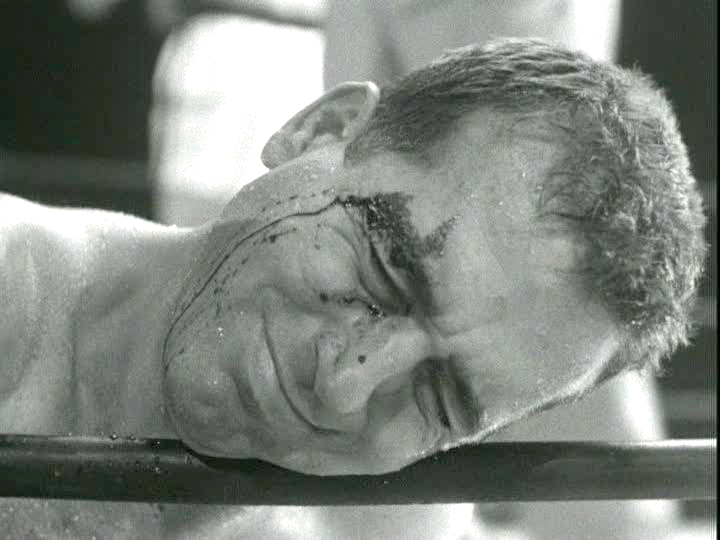 It does provide a few good fight scenes, especially when a thug (Jack Lambert, whose visage was made for movie villainy) takes a beating; one shouldn’t try to slap around a boxing champion, even a former champion. But the acting clinches the movie. There are no Oscars to be distributed here, just good, work-a-day performances that are credible, and drive the characters. Payne convincingly portrays an angry, emotional man; his great regret over a lost fight does not give the impression of self-pity, but of a man who knows he was one punch away from greatness, a few seconds from everything he wanted. But he also creates a character who has, in a way, come to terms with the missed opportunity and is ready to move on. This dichotomy is not an easy impression to give the viewer. 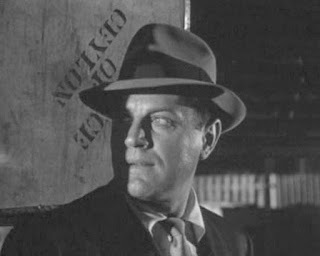 Jay Adler has a good part as a deceptively slow, quiet purchaser of stolen goods, someone who becomes more dangerous the less menacing he seems, and Dexter, as the pale-eyed villain, would become a stapel of television, and one of The Magnificent Seven. 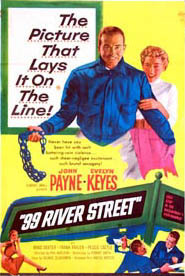 99 River Street may not remain long in the memory, but it is entertaining and involving while it lasts; another good night at the movies. I only know Payne from "Miracle on 34th Street." I'd be interested in seeing him in a dark role. 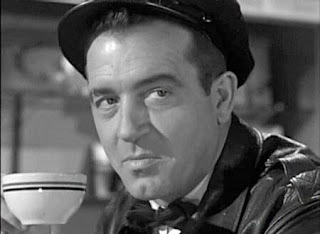 It's interesting that I too knew him for a long time only from that Christmas classic; after that, I think he deliberately sought different roles, and now I've seen him in several. "Kansas City Confidential" is, I believe, my favourite of these.